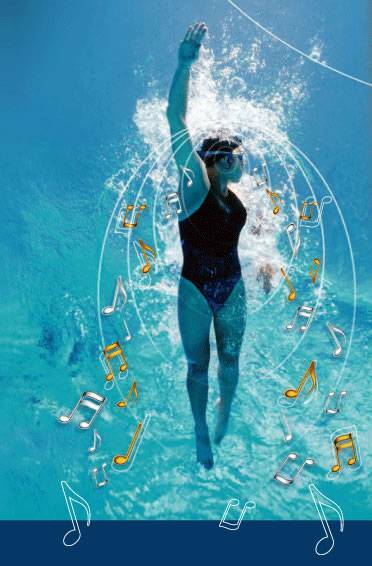 SwiMP3 brings digital technology to your swimming experience Imagine listening to hours of your own music during while swimming laps or just lounging around in the pool. The SwiMP3 uses bone conduction technology which is direct transfer of sound vibrations from the cheek bone to the inner ear. This unique technology will provide the swimmer with wonderful sound quality. Bone conduction hearing is essentially an ancient sensory capability that the new SwiMP3 leverages to enhance the experience of swimmers, triathletes, surfers, synchronized swimmers and anyone involved in general water activities. 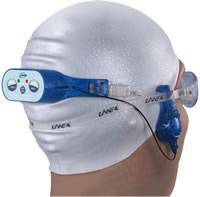 It is a safe, proven technology that the SwiMP3 offers to the wide audience of aquatic athletes.